The newly opened Armenian Heritage Park will be maintained by UGL Services, a commercial property firm that beat out the non-profit Rose F. Kennedy Greenway Conservancy for the operating contract, according to Commonwealth Magazine. “The Conservancy bid provided significant value, but their price was a little bit higher” than UGL, <Armenian Heritage Foundation’s James> Kalustian said, declining to be more specific. Conservancy officials declined comment. 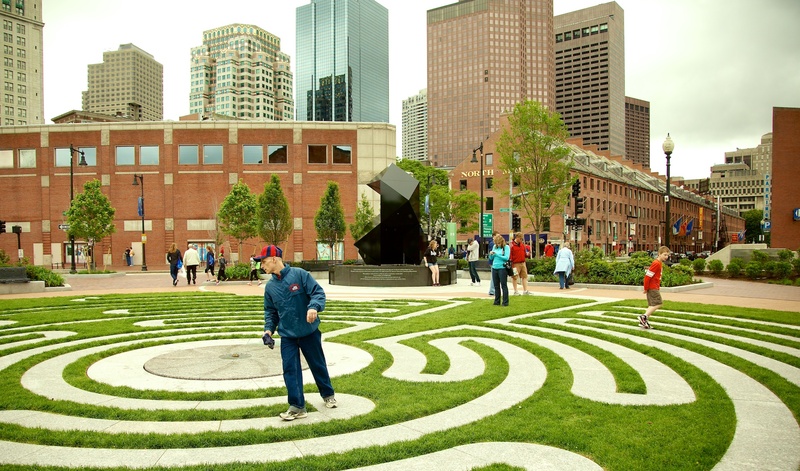 Although part of the Rose F. Kennedy Greenway, the Armenian Heritage Park on Parcel 13, was designated to the Armenian Heritage Foundation that raised over $6 million to create and maintain the space. A Greenway Conservancy board meeting is scheduled for Tuesday, July 24, 6:00 pm (doors open at 5:30 pm) at 185 Kneeland Street. It is open to the public. An update on funding negotiations with regulator MassDOT is expected. As usual, I plan on posting the meeting video here on NorthEndWaterfront.com.